$12.99 to $79.99 & FREE Shipping on orders over $59 $35. 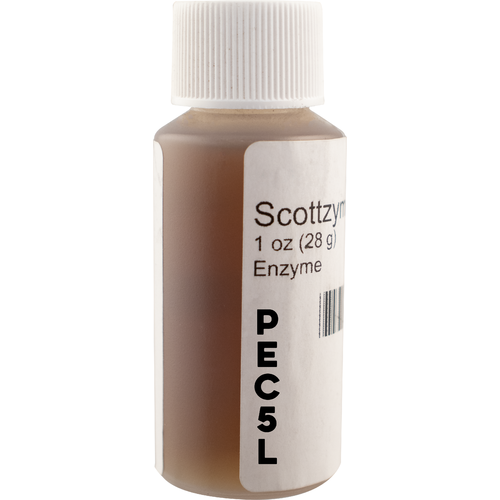 Scottzyme PEC5L is a highly concentrated pectinase blend designed specifically for winemaking. it is used on crushed grapes for easier pressing and higher yields and in juice for improved settling, clarification and filtration. It is also useful for berries, pome and stone fruits. When adding to fruit, it is sometimes beneficial to use in conjunction with Scottzyme HC. Crushed Grapes - 0.075ml / gal. Juice - 0.045ml / gal. 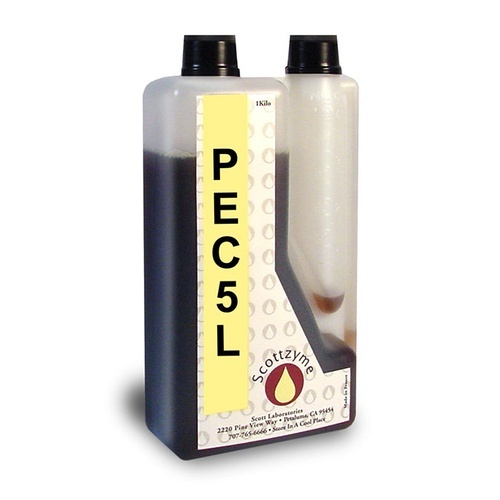 Wine - 0.055ml / gal. have used this in the past with desired effects. Gets me great color and juice extraction. I've tried others and keep coming back to this. NOTE: Actual packaging looks nothing like the picture.